As an organization that collects, uses and discloses personal information, Raintree Financial Solutions is subject to the federal Personal Information Protection and Electronic Document Act (or by similar laws in the provinces of Alberta, British Columbia and Quebec), effective January 1st, 2004. In complying with these laws, it is important that Raintree Financial Solutions provide you with information so that you may fully understand the purposes for which your personal information is collected. Over the course of your relationship with Raintree Financial Solutions and your Dealing Representative, personal information will be collected in order to administer your account. This information typically includes your financial information and investment objectives, in addition to your current investments, banking information and your social insurance number. This information allows for but is not limited to the buying and selling of investments on your behalf, in addition to providing you with reporting and the administration of your account in a manner that complies with regulations. 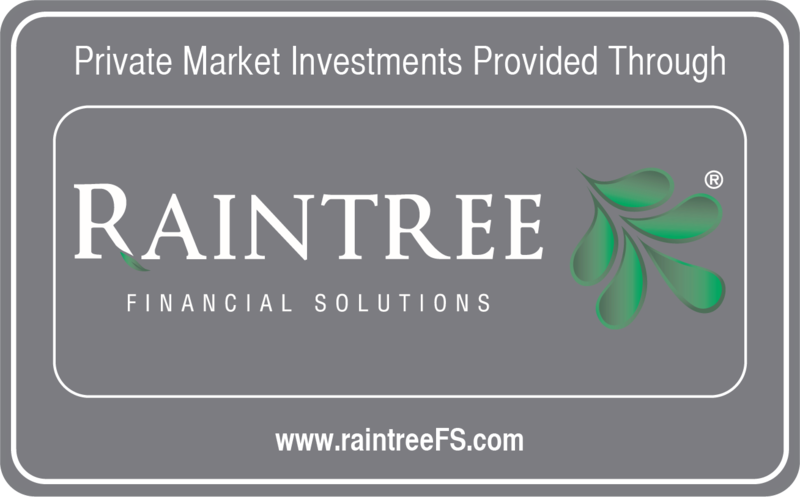 At times, Raintree Financial Services may be required to provide this information to investment manufacturers and trust companies as well as securities and other regulators or law enforcement agencies. These organizations are bound by and must comply with the same federal/provincial privacy act(s) as Raintree Financial Solutions. Raintree Financial Solutions does not disclose your information to any other organization(s) to use for their own purposes and in particular will never sell or trade your personal information. The purposes for which we collect, use and disclose your personal information is central to our being able to provide you with our services. Should you have objections to the collection and disclosure of your personal information, as listed in the foregoing, Raintree Financial Solutions will no longer be in a position to provide you with these services. Therefore, by maintaining your account with Raintree FinancialSolutions, you have impliedly consented to our collecting, using and disclosing your personal information in the limited manner described. In representing Raintree Financial Solutions in the purchase and sale of investments, your Dealing Representative is acting on behalf of Raintree Financial Solutions. However, your Dealing Representative may also be licensed to sell other products or services, which are not the business of Raintree Financial Solutions. Should they do so, your Dealing Representative will communicate with you directly regarding any additional use or disclosure of your personal information. If you wish to review or make changes to your personal information you may do so by making a written request to Privacy Officer, Raintree Financial Solutions: Westgate Business Park, 10243 -178 Street, Edmonton, AB T5S 1M3. Should you have any questions or concerns regarding the use of your personal information we encourage you to speak with your Dealing Representative. Alternatively, you may contact the designated Privacy Officer for Raintree Financial Solutions via fax at 780.443.2656 or via email at admin@raintreeFS.com.